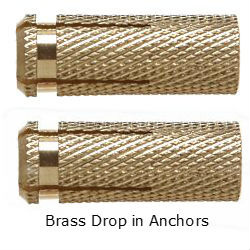 Brass anchor with internal thread has good hydrophobic properties and anti-corrosion properties. Attached to the base of a blockage. With female thread can be screwed to it any element with metric thread and attach heavy duty.